Today, a TechCrunch writer used Google’s Project Maven to demonstrate the need for ethical considerations in the future of artificial intelligence. Project Maven is a Google undertaking funded by the Department of Defense in which machine learning algorithms are used for military purposes. 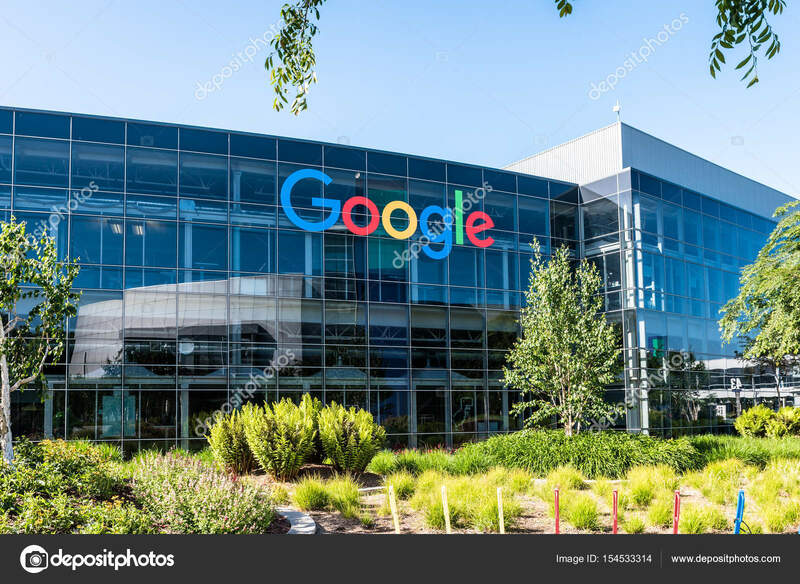 The project was met with heavy push back from both the public and Google employees, raising questions of what is and what is not ethical as a use for AI. A large concern for many people with the wide scale implementation of AI in business processes across widely varying industries is the loss of human jobs. With the job market and financial security being controversial issues when it comes to technological innovation, people need to be educated about the reality of artificial intelligence, lest we lose the ability to leverage such technologies due to public opinion. Closing the education gap on the uses and advantages of the such a technology can not only help people be less fearful, but also help them become advocates for its use in solving many of the problems that the world faces today. In addition to education, ethical considerations must be taken as AI becomes a more prevalent technology across the modern business world. Developers need to consider the outcomes, both good and bad, of the use of their algorithms and concern themselves with addressing the potential uses that can negatively affect others. Businesses must choose to leverage these technologies in a way that can benefit not only their bottom line, but also the people in their communities. Ethics is a field that is all too easily swept under the rug in the pursuit of profit, and those on the forefront of technological innovation must be ensure that the future of artificial intelligence is intertwined with ethical considerations. AI technology is becoming a more mainstream and integrated tool that we use every day. Although we may not program bots or crunch data ourselves, we continuously feed AI and make it even more powerful. Even though this sounds like the beginning of a horrifying Sci-Fi movie, contributing is an extremely useful thing for humans to do to make AI better. IBM’s CEO Ginni Rometty has come up with a few good catch phrases for AI: “Augmented intelligence,” “if you flip the letters AI, they become IA, which stands for Intelligent Assistant.” She continued about how AI is supposed to be our virtual data analysis tool, something that assists people, not takes their jobs. This assistance can lead to massive efficiencies in our waste, for example, in the article it says that “150 billion oranges are wasted each year and it takes 7.5 trillion liters of water to harvest them.” With the assistance of AI technology, the farming cycle, to the weather, to the shipment of orange would be integrated with blockchain technology. This would allow for much less oranges and water to be wasted because of maximizing the efficiency of the processes through constant monitoring. Although there are no hard numbers about this example in the article, the implications of AI in this market could make farming much more efficient causing a massive reduction in world hunger, potentially. AI is not something humans should be scared about, it is something that humans should embrace and make use of because it is not going to go away any time soon. What Do The Samsung Galaxy S10 and Bats Have In Common? The Samsung Galaxy S10 is slated to become the first ever smart phone to incorporate an in-screen ultrasonic fingerprint scanner. This technology is sure to be the “wave of the future” because this type of sensor takes up no room on the phone thus, allowing the phone screen to be larger overall. The 3D Sonic Sensor uses sound waves to help you unlock your phone. The phone emits an ultrasonic sound that bounces back off of your finger and tells the phone whether or not the finger is registered to unlock that phone. This is different than current fingerprint unlock technologies that take a static picture of your finger and then compare it to a key by analyzing the different lines in the picture in order to determine if the person holding the phone is the owner. In addition, this new 3D Sonic Sensor is safer to use than traditional fingerprint unlock technologies. For previous iterations of fingerprint unlock systems, hackers have been able to use photos of an individuals fingers in order to unlock their phone. With an ultrasonic sensor, that will no longer be possible. The sensor actually can get an imprint as deep as the pores in the fingerprint which would be impeccably hard to duplicate. To summarize, Android users have something to be very excited about. They will no longer have a sensor that takes up room on their screens and their phone and personal information will be better protected from malicious hackers. In the healthcare industry, there are many issues that need to examine. Some of the issues are the affordability and individualized health plans. These issues open up opportunity to introduce new ideas to solve our problems in the healthcare industry. In recent years, there is a growing trend in self-care technology that can improve longevity and quality of life, which can help us moving in the right direction to solve the healthcare issues. However, the technology is still not very accessible to everyone. It is also not very affordable for people with lower income and the reason for that is because we are not accounting this technology as a whole system, such as the important purpose of the technology and all the components that make up the system. All the stakeholders such as government agencies, investors, healthcare providers, and consumers together need to take careful consideration to help shape the future of affordable healthcare. The self-care technology can be wearable sensors, smart-phone apps, and online doctor consultations, which potentially can “reduce medical expenses by allowing patients and doctors to monitor indicators such as cholesterol and glucose levels without expensive and time-consuming office visits.” As technology evolve, the market of these devices will grow and trigger the prices to decrease which make it affordable and easier for people to track their daily activities. The question then will be, are more people going to take advantage of this or stay with their bad habits lifestyles and unhealthy diets? Perhaps, the technology or apps will then be user-friendly and attractively designed to fit individual lifestyle. Google announced a new plan to fight the spread of misinformation across its platforms. The paper was over 30 pages long and broke down how content will be filtered and will help deem certain things appropriate or inappropriate. They will use some non-partisan filtering nonprofits that specialize in election-related fact checking. Then, the International Fact-Checking Network will determine the validity of the data. All of this will hopefully lead to less misinformation. This seems to be in preparation for the 2020 election, which will almost certainly be filled with controversy. While I agree with the removal of hateful messaging that would violate the first amendment, I am unsure about this policy change to Google. One of the things that makes Google so innovative and great is the openness of the platform; it allows for multiple viewpoints. I am unsure how I feel about non-profits deciding what I see when I search for things. It’s hard to imagine an organization could be completely non-partisan, so while I like the mindset Google is coming from, I don’t see them limiting speech as the best option. Unfortunately, the line between real news and fake news is becoming blurred, so this problem will continue to get worse. OpenAI is a company that has recently made significant advancements in terms of AI text generation. The company’s language modeling program wrote an extremely convincing essay on a controversial topic, demonstrating how machines are growing more and more capable of communicating in ways that we had never imagined to be possible. After being trained by readings huge amounts of articles, blogs, and websites, the algorithm has been learning to predict text, translate between languages, and respond to questions. As algorithms such as these become more advanced, it comes with some underlying risks. There is the possibility that the machine will generate text that is generally considered to be inappropriate/wrong and could have a negative influence or be abused to spread false messages around the internet. With the ability to produce text that appears to be sophisticated and convincing, machines could potentially cause significant damage in the online world and will continue to blur the lines between genuine, candid conversation and nonsensical, made up information. As the machines continue to learn and become smarter, I will be curious to see how the presence of these sorts of “bots” will affect conversations on social networks and within the media. In January 2012, a small UK-based startup launched an app called Evi. Users could ask the AI-powered helper their questions and get a specific answer back. These answers, called one-shot answers in the search engine business, were completely unfashionable for the last few decades when lists of links to best possible webpages dominated the user’s screens and mobile devices. However, in an industry that is changing more rapidly than any other, even monopolists like Google must be aware that they are just one invention away from a completely leveled playing field. Evi, which was sold only 2 years after her launch, was exactly one of these inventions. Amazon bought the technology and made it the backbone of its Alexa voice assistant, providing millions of households with one-shot facts to most of their answers. However, we are just beginning to see the disruptive effects of Evi’s capability to provide an exact answer for what users are looking for. As analysts estimate that by 2020, about half of all internet searches will be spoken word, and one answer will be provided most of the time, SEO will become even more important to company’s and going forward “the goal is to summit Everest – to get the top result – or die trying” (Vlahos, 2019). It will be interesting to see how the system of the Search Engine Business, which is a fundamental part of the internets financial ecosystem, will adapt to the new era of voice computing. How will publishers deal with an even higher dependence on big companies, as even less direct traffic will be directed to their pages? How will companies like Amazon deal with the responsibility that comes with providing information from 3rd party websites as facts through their systems? There is no single answer to that, not even for Evi. Vlahos, James. “Amazon Alexa and the Search for the One Perfect Answer.” Wired, Conde Nast, 15 Feb. 2019, www.wired.com/story/amazon-alexa-search-for-the-one-perfect-answer/. Recently the UK government has announced that they will be funding 40 AI and data analytic projects which are projected to be worth around 13 million euros or in us dollars around 16.8 million. The reseasoning for this to transform industries around the world and to continue the innovation for the future. To add to that they fell as though the key to AI innovation is data. Personally, I can’t agree with this more. AI is a unique yet very new and unfamiliar innovation that many aren’t aware of or exposed to. The biggest thing that can help elevate it is data to support the new technology. As mentioned in many cases as well in articles, data is the key to innovation. Despite it being a cutting technology their still many undiscovered capabilities AI can have in the industry as well as in the world. Does benefiting both data and AI a really necessary combination to help innovate AI? Will all companies and those working on these projects take advantage of this funding? Is AI alone just enough to fully innovate and understand AI to what its capable of doing? With data becoming more of common use in industry and more advanced programs and systems to make understanding data easier, data could be the key to support AI and supporting it’s innovation to another level. Apple is creating a new subscription news service that’s to drop next month. The news service is being described as “Netflix for news,” due to unlimited content customers can access from publishers for a single monthly fee. They will most likely charge a monthly fee of $10 for the news service. Apple will base the news service off of a revamped version of Texture, a media subscription service Apple purchased last year. The main target audience is consumers who are serious about the news and willing to pay for it. Apple is reportedly working with The New York Times, The Washington Post and The Wall Street Journal. A few of the many subscription news that may be available to subscribers. The article states their biggest challenge is getting publishers on board. However, I believe their biggest challenge would be competing with free social media news. Most American’s receive their news from social media sites such as Facebook, Youtube, Twitter, and Instagram. Facebook is the number one platform where 43% of American’s get their news. With YouTube being second at 21% and Twitter being the main news source for only 12% of Americans. Most people receive their news from social media sites because of its convenience, which further plays into Apple’s news subscription service. Apple may be successful with their news subscription service because although 68% of American adults get their news from social media platforms 57% believe its inaccurate. Apple is giving access to more reliable news, The New York Times, The Washington Post and The Wall Street Journal ect., for a fraction of their individual subscriptions costs. Apple has taken over music streaming services with iTunes, so now let’s see what effect Apple will have on the news media.